Epic Systems Corp. has won $940 million in a judgment against a Mumbai-based information technology company and its U.S. subsidiary for infringement of its intellectual property rights. A federal court jury in Wisconsin found in favor of Epic on all seven counts of a civil suit that alleged Tata Consultancy Services Limited and Tata America International Corp. had breached a contract that provided Tata employees access to Epic's proprietary information. The jury awarded $240 million in compensatory damages and $700 million in punitive damages to the Vernoa, Wis.-based electronic health record systems developer. Tata denied the charges and vowed to appeal the decision. Kaiser Permanente signed an EHR purchase agreement with Epic in 2003. It was one of the largest healthcare IT contracts in history, a deal that catapulted Epic into the top rank of EHR systems developers. Tata served as a contractor to Kaiser, helping the giant integrated delivery system install and optimize the Epic EHR. 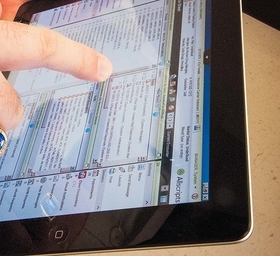 According to court documents, Epic and Tata entered into an agreement permitting, but limiting, Tata employees' use of UserWeb, an Epic electronic workspace that aids Epic customers in implementing and maintaining its systems. The agreement gave Tata employees access to Epic's computer source code and documentation for its computer programs, court records show. But Tata and its employees were prohibited from using that information to develop software to compete with Epic, court documents indicate. Epic filed a lawsuit in October 2014 alleging that as early as 2012 Tata employees had begun improperly accessing proprietary information via UserWeb. The allegation stems in part from statements of a whistle-blower, Philippe Guionnet, who had been “responsible for managing all aspects of Tata's contract with Kaiser,” the Epic complaint said. Guionnet also had knowledge of Tata's own Med Mantra hospital management software products, including marketing them to Kaiser, the court document indicated. Epic also alleged that a Tata employee, Ramesh Gajaram, who was working as a consultant on the Kaiser IT project, downloaded more than 6,000 Epic documents, many of which “were not necessary for Gajaram to perform his job functions for Kaiser,” the complaint alleged. Gajaram also provided his credentials to two other Tata employees working in India and that his credentials were used to download documents via a computer with an IP address registered to Tata in India, court documents said. Epic sued, alleging Tata violated federal and Wisconsin computer crimes laws, other statutes and common law, including those prohibiting fraud, conversion and breach of contract. In a statement released to the Indo Asian News Service, Tata said: "While TCS respects the legal process, the jury's verdict on liability and damages was unexpected as the company believes they are unsupported by the evidence presented during the trial." “It is expected the trial judgment will be entered in the case in the next six to eight weeks, following which the parties can file an appeal within 30 days after the judgment is filed," the statement added.